Content Optimization best practices are changing, and today I want to show you a major shift in how Google understands keyword and content. By using this technique and understanding of where Google is going, you’re going to be able to see BIG shifts in the amount of traffic you’re getting. This is going to help you rank for MORE keywords with less links! SEO has traditionally focused on optimizing content for specific target keywords. Common SEO advice would be to create content and pages based on 1 specific keyword. Other old school SEO practices also include dividing up pages based on different keywords. For instance, having one page for “guitar chords” and another page for “guitar tabs” even though the user intent is the same. But with updates to Google’s search algorithms (thanks to machine learning and AI), Google’s search standards have changed! What Google REALLY wants to do at the end of the day is to match the user query with the answer. When a user comes to Google and enters a query, they want to serve up the BEST content that’s sure to answer that question. In the past, Google would do that by using keywords + links as a way of matching (which is still true… sort of). But that presented some problems that we’ve seen them try to tackle in the last few years. Sometimes the best content wasn’t coming to the top. So Google set out on a mission to create new ways of rating a piece of content. They want to be able to rate that content on a scale of how likely it is to answer that user’s query. So they developed algorithms to understand the connections between words, entities, topics, etc so they can understand the intent – That’s what Hummingbird is all about! Google’s semantic algorithm, Hummingbird can understand the connections between entities and natural language search, analyzing and ranking content in terms of topics instead relying on exact match keywords. Now the way you optimize your content has changed! Instead of trying to just optimize for exact match keywords, you want to cover each topic deeply – so that Google will rate your content highly and rank you better. If you can do this, then your site is going to rank better, with less links! This is why recent studies have show that longer content is ranking better. So you see, Google no longer relies heavily on only traditional SEO metrics to give your content a higher ranking. Instead, because of these updates, there’s a new ranking factor in town, and her name is topical optimization. What Is Topical SEO Optimization? Other terms have been used to refer to topical optimization, such as topical SEO and semantic SEO. In essence, Google places value on a source’s authority as a subject matter expert. That is, how deep and comprehensive a source’s coverage of a certain niche is. In practice, it means your site should be filled with content that effectively answer all possible questions a user may have about a certain topic, concept, or subject that you are targeting. What’s more intriguing, topical optimization could potentially be a more powerful ranking factor than keyword optimization and backlinks combined. One of the strongest pieces of evidence I found proving the importance of topical optimization came from a recent Neil Patel article. In typical Neil Patel fashion, he presented his evidence, backed by massive studies he’d done where he and a team of data researchers cracked Google’s semantic algorithm, Hummingbird. It’s hard to refute these findings when not only Neil Patel, but other authoritative expert sources in the industry—Rand Fishkin of Moz, Search Engine Journal, Hubspot, and Search Engine Land, all point towards the same trends. Instead, topical optimization makes it easier for sites that consistently produce high-quality content to be rewarded in Google search ranks. It puts pressure on website owners to step up their efforts to create high-value content—because that’s what this Google ranking factor is all about: creating in-depth, comprehensive content that readers will find valuable, and that matches users’ search intent. I want to be clear: This doesn’t mean keyword research is dead. In fact, keyword research is VERY important. It’s just that you should focus on creating topical based pages that cover the topic in depth. I like to keep things simple and straightforward, so I distilled all of the best techniques into something easier to learn and implement fast while keeping the most important aspects. Let’s go through a case study of writing an article on the topic of mobile SEO targeting small business or website owners — ideally, laymen who want to know what mobile SEO is, and how they can make their website mobile SEO friendly. Now, prep a spreadsheet to hold and organize the data you’ll be gathering while we try to narrow this broad topic into more topical oriented questions. 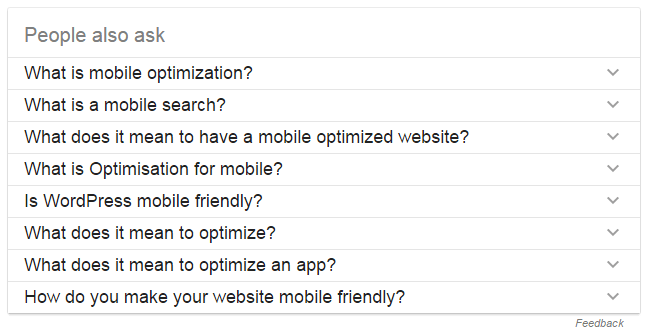 Go to Google search and type mobile SEO. Head straight for the “people also ask” section. What does it mean to make your website mobile friendly? 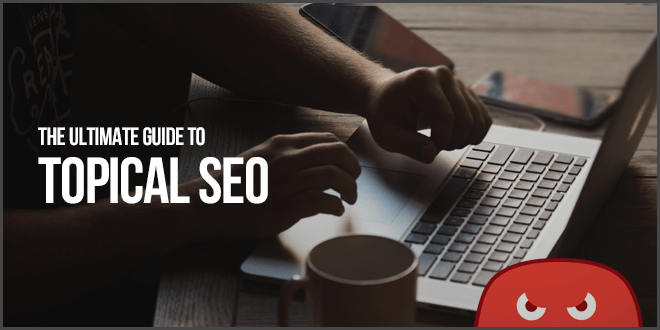 How can you make your website SEO friendly? You can also look at the related searches section. Since the related searches section looks more like keywords than actual queries (questions), you have to interpret what the user intent is based on these keywords. Doing so will let you form new question phrases you can add to your list of queries. For example, when you see the keywords “mobile SEO Google”, it is unlikely that the user cares about whether or not Google has optimized its website for mobile SEO. 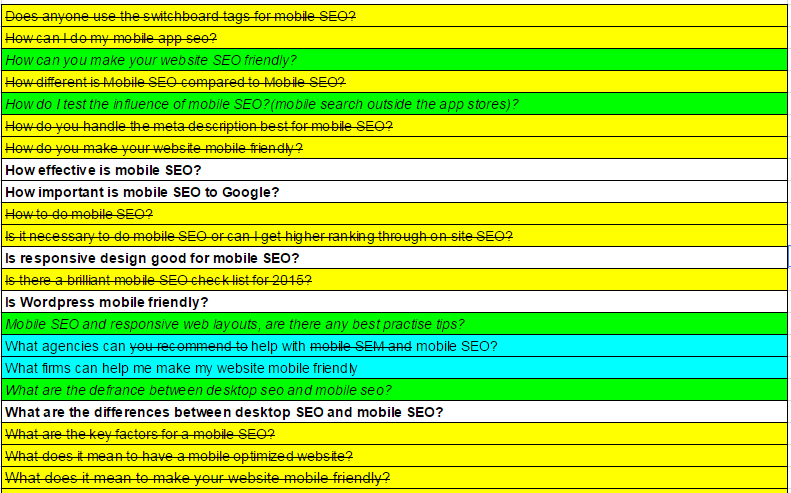 What is Google’s take on mobile SEO? 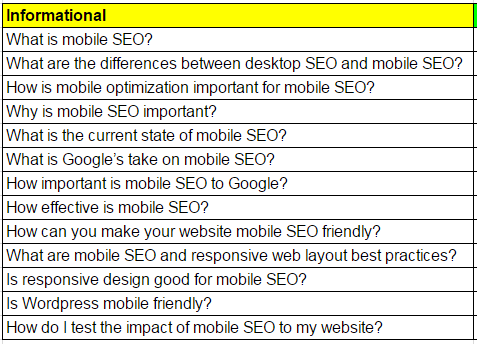 How important is mobile SEO to Google? 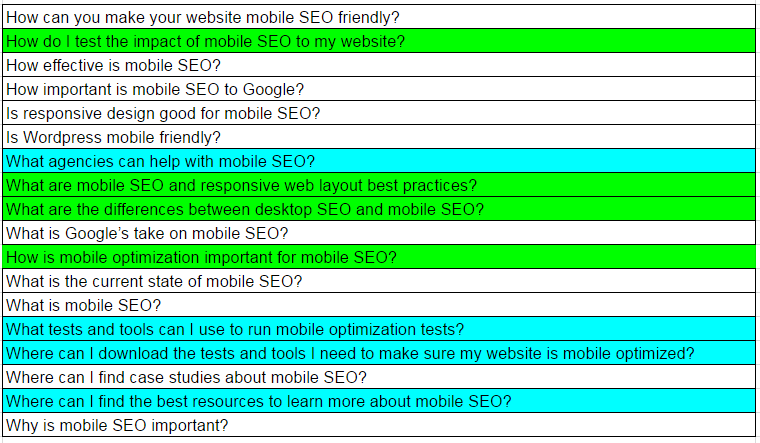 What tools & tests can I run to make sure my website is mobile optimized? 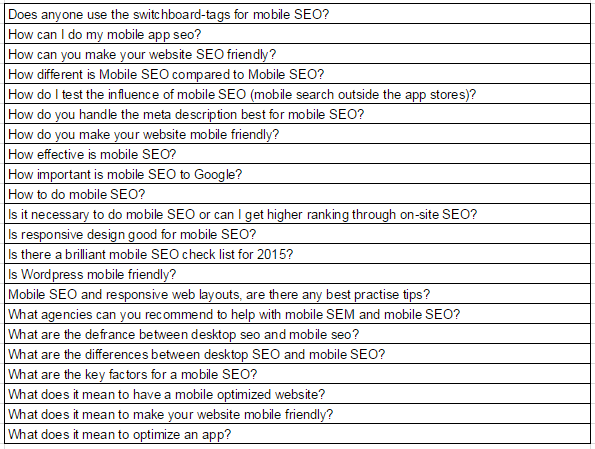 What is the current state of mobile SEO? Obviously, this process is more subjective than a perfect science, so try to be as comprehensive as you can. You can clean up any clutter later. Collect all the queries you’ve gathered so far based on the People Also Ask section, including question interpretations based on keywords in the Related Searches section. Now, not all searches come with the people also ask box, though, and you wouldn’t want to limit your ideas to a single platform, so a good additional source for fielding question ideas would be Q&A sites. For example, Quora. Quora is a community-curated question-and-answer site with around 100 million users. Quora is known to prioritize quality of answers over volume, which makes it a better place for us to harvest our query ideas. Again, key in mobile SEO. Go to the right nav bar and click Questions. This filters the results so you’ll see all the questions ever asked in the Quora community about your keyword. You can also see info such as the date it was posted, number of follows, views, and comments, which lets you know how important those questions are to the users. Combined with the Google search queries you’ve gathered, you should have something that looks like this. Now that you have your initial list of questions, it’s time to whittle them down into those that make most sense to tackle in your article. First, pick the ones that you think are the most pressing questions for your target audience and weed out the ones that are not relevant. Ex. Your target audience are business website owners trying to decide whether they should invest in mobile SEO for their websites. So the questions from Quora about using switchboard-tags for mobile SEO, as well as other questions relating to back-end development for SEO, are best saved for an article targeted for developers. Third, there may be some redundancies where you have queries that are phrased differently, but that lead to the same answer. Ex. 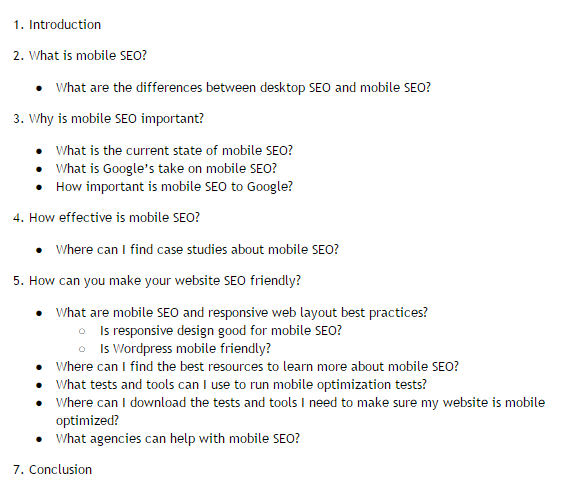 The questions “Where can I find mobile SEO tutorials?” and “Which are the best websites for learning mobile SEO?” are looking for pretty much the same things, so just combine them. Lastly, there might be some questions you want to edit on account of them having typos, or being unnecessarily long-winded, or which need to be rephrased for better clarity. When you’re done editing, you should get something that looks like what’s in the image below. The questions in strikethrough and yellow background are all the ones you should remove, while the questions italicized and with green backgrounds are the ones that need editing. Questions highlighted in blue are ones you should combine. The questions in green are the ones that have been edited or rephrased while the questions in blue resulted from the combination of redundant questions. Now that you’ve refined the list of questions to tackle, it’s time to classify your questions by user intent type to help you organize the order of the questions in the article. Transactional – where the user’s intent is to complete an action such as to purchase, download, register, or sign up for something. In your spreadsheet, create two columns each for informational and transactional type questions. Here’s what that should look like. With that bit done, it’s time to build your article structure according to the order of questions you should address. To earn the reader’s trust, begin the article by answering questions that provide specific information, starting from the broader questions followed by the more detailed ones. Follow or pair these with the relevant transactional questions to create an article that could provide real monetary value either through affiliate links or by pitching your own services. For example, the question “What is mobile SEO?” Is the most encompassing of all the questions and should be the first header. What are the differences between desktop SEO and mobile SEO? 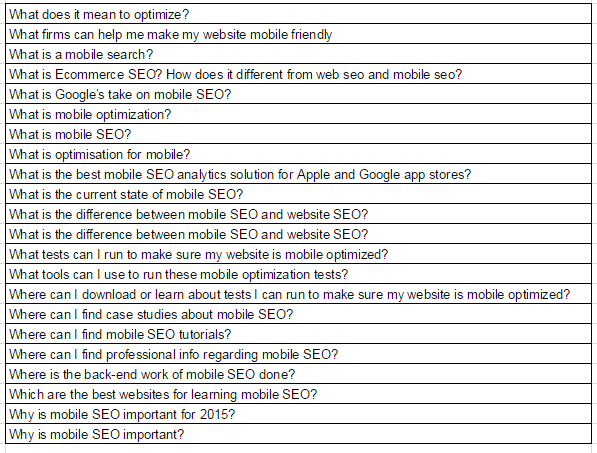 How effective is mobile SEO? How can you make your website mobile SEO friendly? Google now understands the connection between similar keywords, but you’re still going to want to do keyword research to make sure you are including the highest volume keywords. 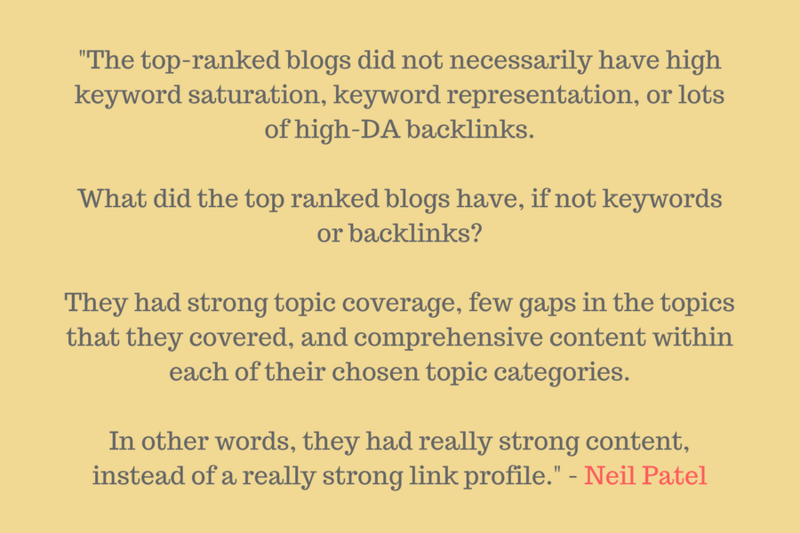 But, as per Neil Patel, using LSI (Latent Semantic Indexing) keywords—keywords related in meaning or logic to your primary keyword—should be the worthy alternative. For this last process, you should make another list of LSI keywords to use under each main header. 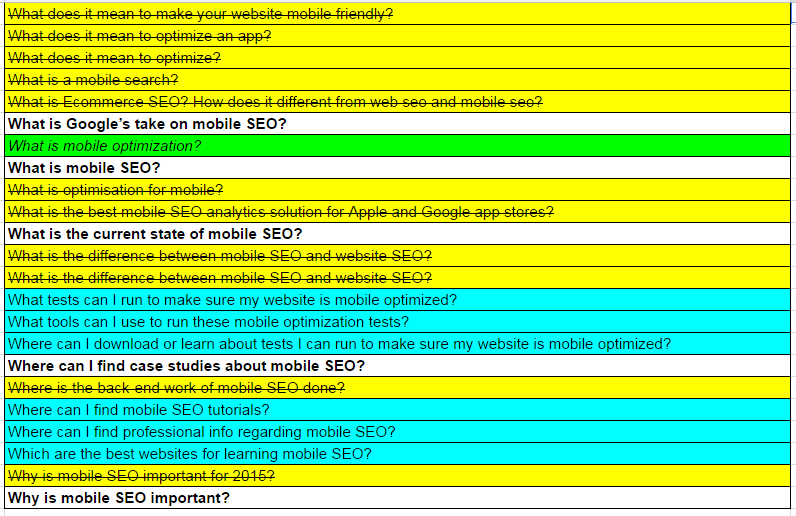 You can use a lot of different tools for this, in this example I’ll use Moz Pro. Pull up Moz Pro’s keyword suggestion tool and enter “mobile SEO”. Under the section marked Display keyword suggestions that choose include a mix of sources from the dropdown. Under the section marked Group Keywords, choose yes with low lexical similarity and for volume, choose any. This returns an exhaustive list of keywords you can use throughout your article. Click Export CSV to do your sorting via spreadsheet. 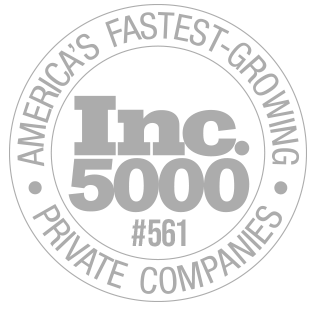 Moz assigns a relevancy score along with the minimum and maximum volume estimates. You can also filter the results to show search volume in descending order to help you choose keywords with better search volume. Pick any number of keywords as long as you can use them coherently in sentences that fit the article. Use each of your chosen keywords, ideally falling within the 0.5% to 2.5% keyword density benchmark. For example, you can scan your main keyword list to look for keywords you can use for the section below. Now that you have your article structure, questions to tackle, and choice of relevant keywords to use, it’s time to fill it in with the kind of informative, actionable content that your target readers will find useful. When you flesh out a topic in depth, you’ll have a much better chance of ranking, as well as the opportunity to rank for many more keywords! As you can see, the idea is pretty straightforward: Pick a topic, find all the questions related to the topic, answer these questions fully, and publish your article! If you’d like to learn more about how we can help you do this, you can check out our HOTH Blogger Service now with 2000 word posts! Great article! Thank you for explaining this in detail with examples. Excellent article, I have used Google suggest to get commonly searched keywords, usually i optimise a keyphrase per page, it’s obvious now you have pointed it out but by using them as headings of a single article makes alot of sense and also aids writing content by giving a clear structure of what content is required. Great points about structering infirmational/transactionable info too, I will be using this method alot more from now on, cheers! Awesome article. Valuable insight here! Thanks. Does the same also go for local pack SEO, and localized SEO? Thanks! Awesome article – unkowningly I have been doing 70% of this now just need to implement the rest. I will use this case study and will implement for my topic! Thank you for the awesome information. Great content. I actually loved it all. Need to experiment and take a look to see the results. But I think the same cannot be applied to youtube videos. I find Google AdWords KWT better than MOZ as it provides more diverse results. You do need to clean them manually though, especially if you do a few iterations of KW expansion. Thanks for sharing. I agree it’s important to clean up your KW’s, and look for the right intent behind them as well. Very informative for content and web content writer.